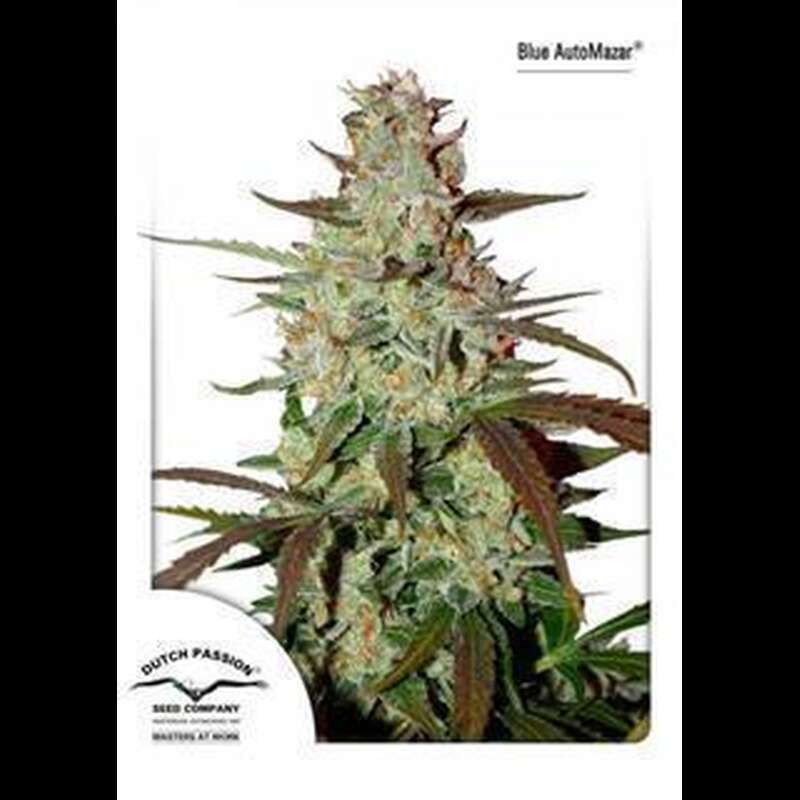 Blue AutoMazar Cannabis Seeds combine the best of two of Dutch Passions legendary original automatics into an outstanding new potent hybrid. It is a cross of AutoBlueberry and AutoMazar, two of our most loved and best selling cannabis seed varieties. The connoisseur-quality AutoBlueberry parentage benefits from the potency and heavy yields of the AutoMazar genetics, this is one of the best automatics available today and one which we believe will be very hard to surpass. Blue AutoMazar is ready to harvest around 75 days after germination and is 75% indica and 25% sativa. This variety will produce cannabis plants which are a blend of both parent genetics, but you will also see some AutoBlueberry-leaning plants, and some which closely resemble the original AutoMazar. In bloom she rewards the grower with a complicated array of fruit aromas and occasional scents of spice; pepper, earthy. The effect is strong, happy and sedating on the body. A comfortable and very enjoyable high complements a variety with great yields and numerous blooms which are heavy with bud and resin production. Blue AutoMazar cannabis plants typically grow to 80-100cm tall and need space as the plants like to spread out. Yields for most growers will be 75-100 grams of top strength sweet-tasting marijuana, although the most experienced growers will be able to crop 200g++ from a single plant.